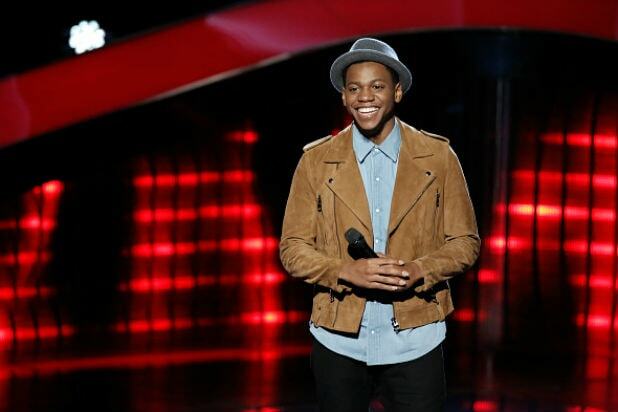 “The Voice” Season 12 winner Chris Blue wowed fans and judges alike on his way to victory on the NBC competition show, and he has a theory as to why the series has yet to launch a music superstar. Blue believes that hard work will be the difference in allowing him the chance to have a successful career along the lines of those enjoyed by such competition series winners as “American Idol” standouts Kelly Clarkson and Carrie Underwood. “With work ethic and just doing it for all the right reasons, and staying faithful to God and committed to God, everything will work out fine, and we’ll break through the glass ceiling that everyone so desperately talks about after winning ‘The Voice,'” he continued. Blue, who claimed the title as a member of Alicia Keys’ team, has not yet released an album, but he intends for his first record to incorporate gospel, funk and R&B. “I want something that inspires people, that charges people up, that enables people to feel hope, just be encouraged that everything’s going to be OK,” he said. “The Voice” Season 13 premieres Monday at 8/7c on NBC.